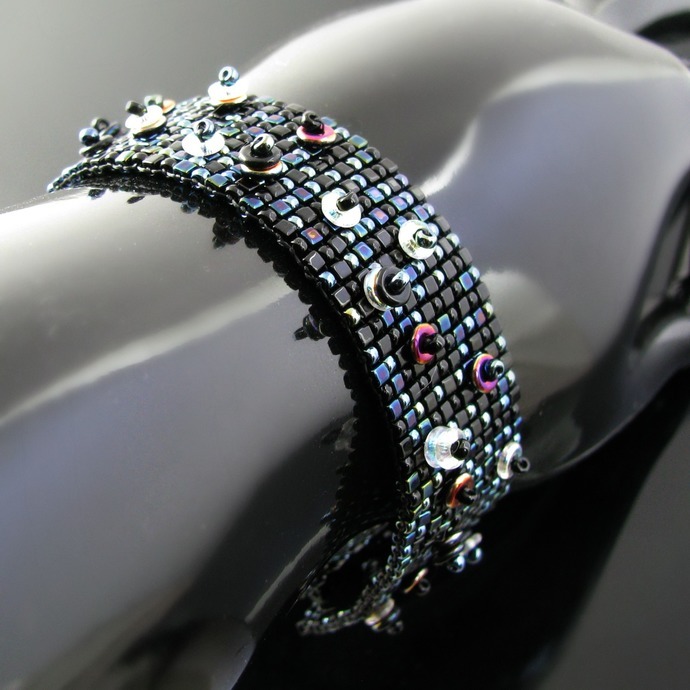 Who would have thought that a bracelet that looks just black at first sight can be so interesting? Take a closer look to take in all the details. The bracelet is made on a bead loom. I alternated tiny cubes and seed beads in each row which gives it such a nice texture. 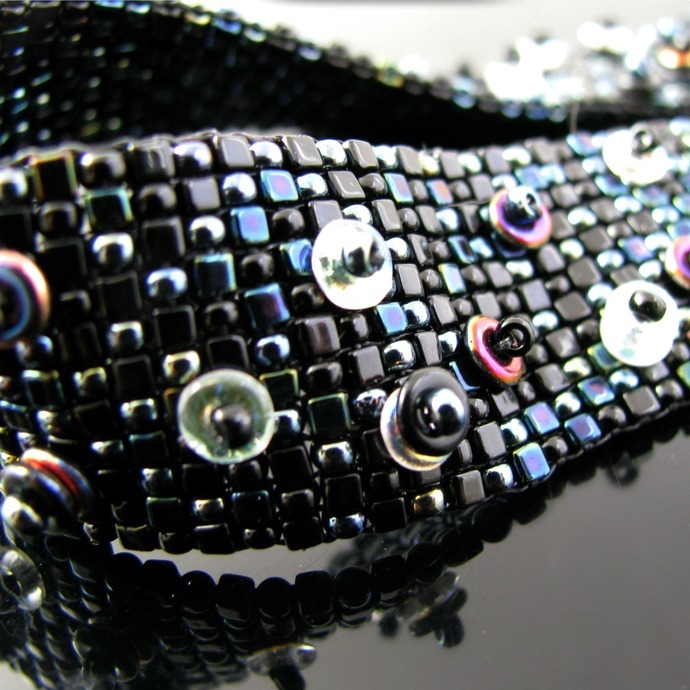 Both kinds of beads are black and black AB for that beautiful rainbow shimmer. 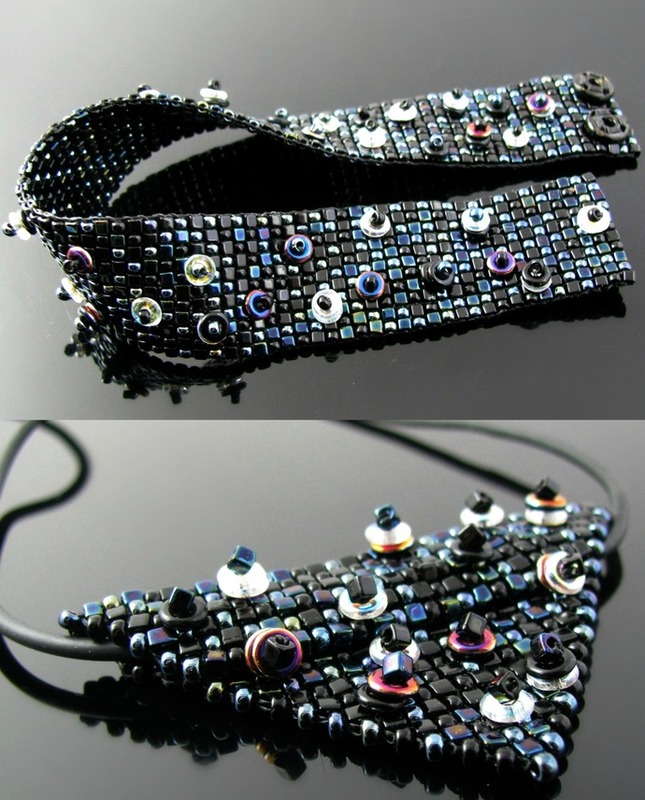 To add more interest, I covered the bracelet with O beads. Sometimes there is just one, sometimes two, and for more variety I sometimes put the plain black or crystal side up and sometimes the AB side. 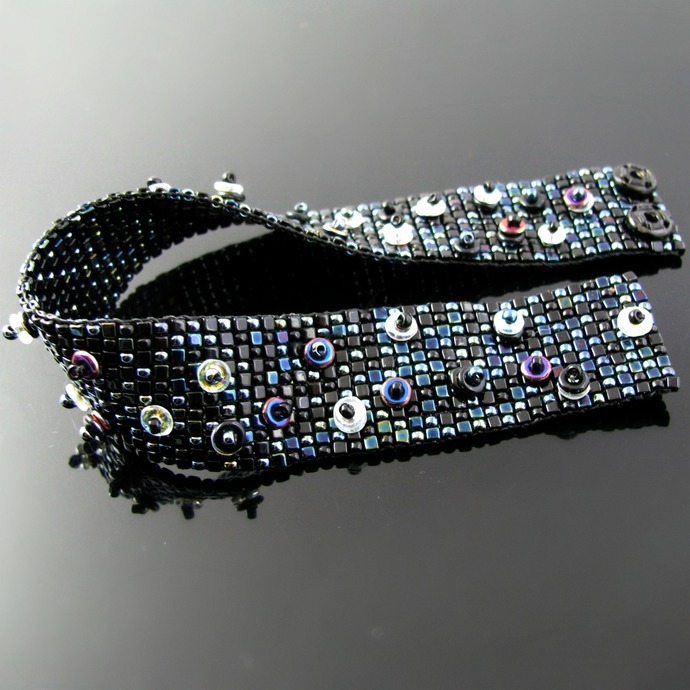 The bracelet is 2 cm or 2/3 of an inch wide. The loomed part is 19.5 cm or 7 3/4 inch long. Important for you is the length from the snap buttons, however - 19 cm or 7 1/2 inch. 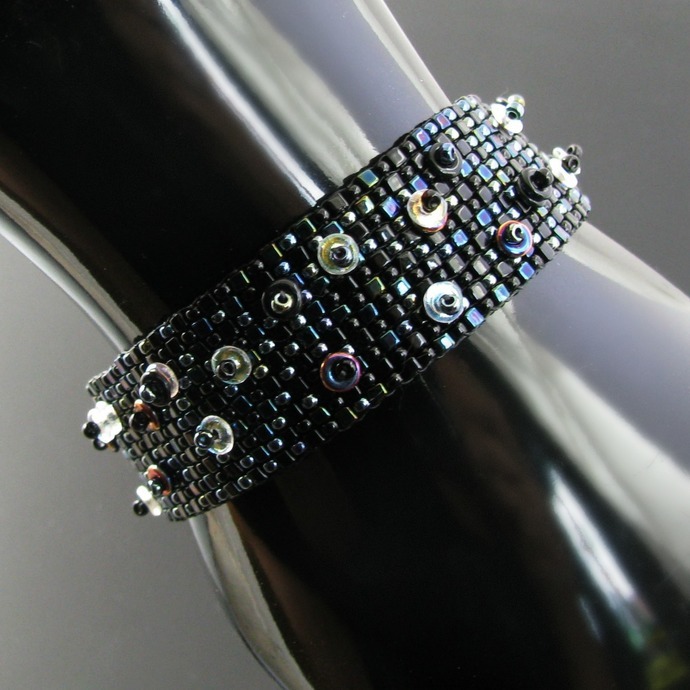 Yes, there are two black snap buttons which make it so easy and comfortable to put this bracelet on! There's also a matching pendant in my shop as seen in the last picture.